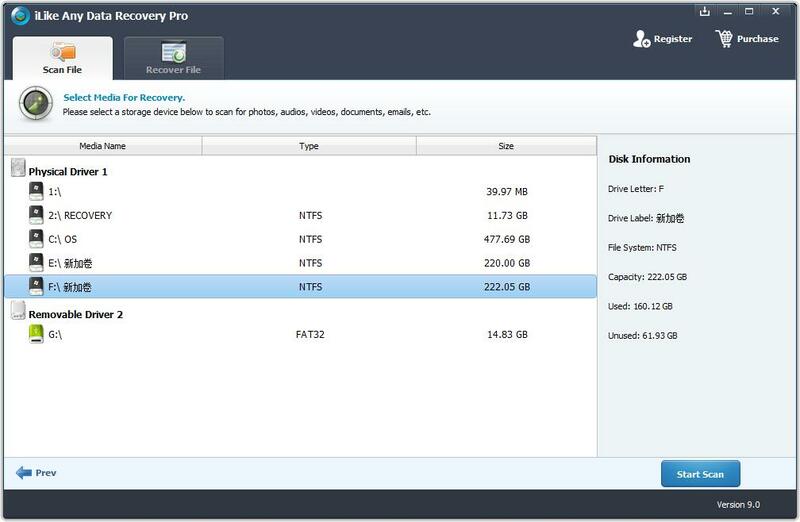 How to recover deleted files from FAT32 partition? > Support > Resource > How to recover deleted files from FAT32 partition? Windows users are so deeply concerned about how to recover deleted files from FAT32 partition. As a data recovery software, iLike Any Data Recovery Pro can recover deleted files and data from FAT32 partition as well as from NTFS, FAT16 partition. It owns the most efficient and complete capacity to recover deleted files from partition. As a matter of fact, Windows can' t delete files but modify the first letter of file names into a special symbol and then mark cluster this file occupies as idle mode. Therefore data contained on this disk still exist. These clusters could probably occupied and overwrite original data, if we save new files on the disk. For this reason, windows users should avoid saving new files to disk. To recover deleted files, we must bypass operating system and operate directly on disk to recover. 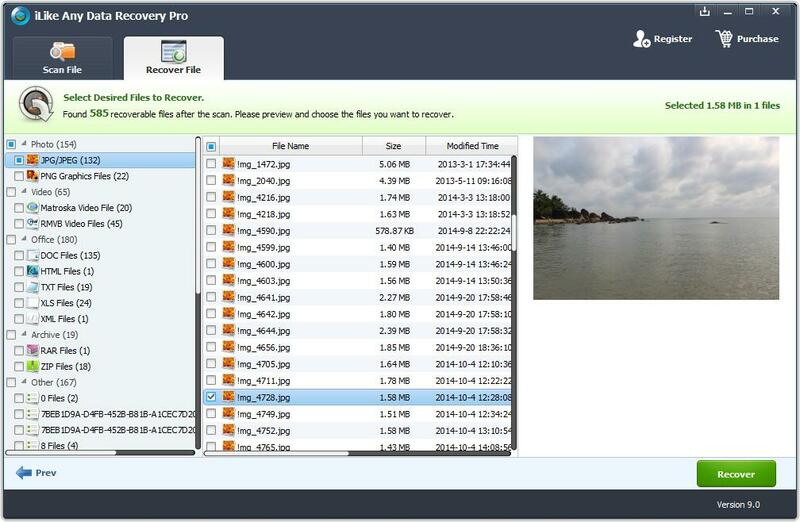 iLike Any Data Recovery Pro is such a data recovery software, full recovering deleted files. Note: Don't overwrite deleted file after accidental operation, meanwhile, stop using computer, prevent saving files on disk and avoid installing iLike Any Data Recovery Pro to stricken disk partition but other partitions on account of any new content could probably overwrite disk clusters released by deleted files. Besides, you may remove hard disk and perform data recovery in perspective of safety matter. 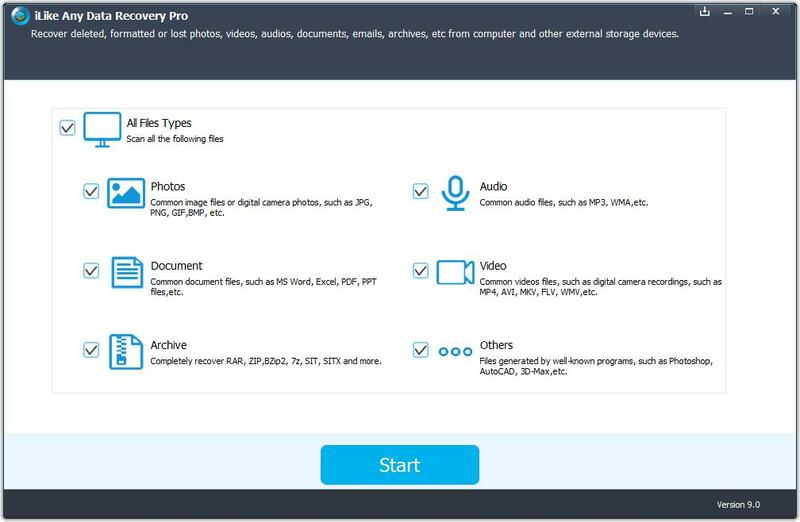 Download and install Any Data Recovery Pro on your computer.